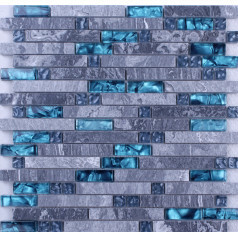 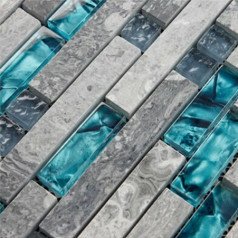 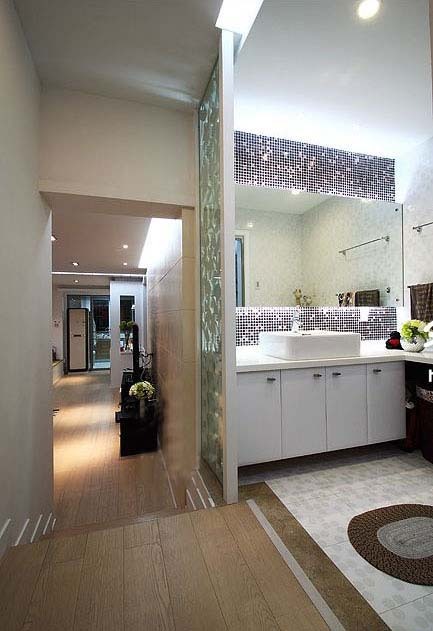 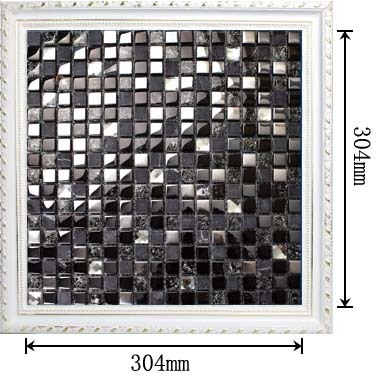 Application: glass mosaic tiles are impervious to the elements, thus it is great for both interior and exterior use so moisture is not an issue. 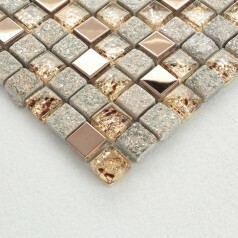 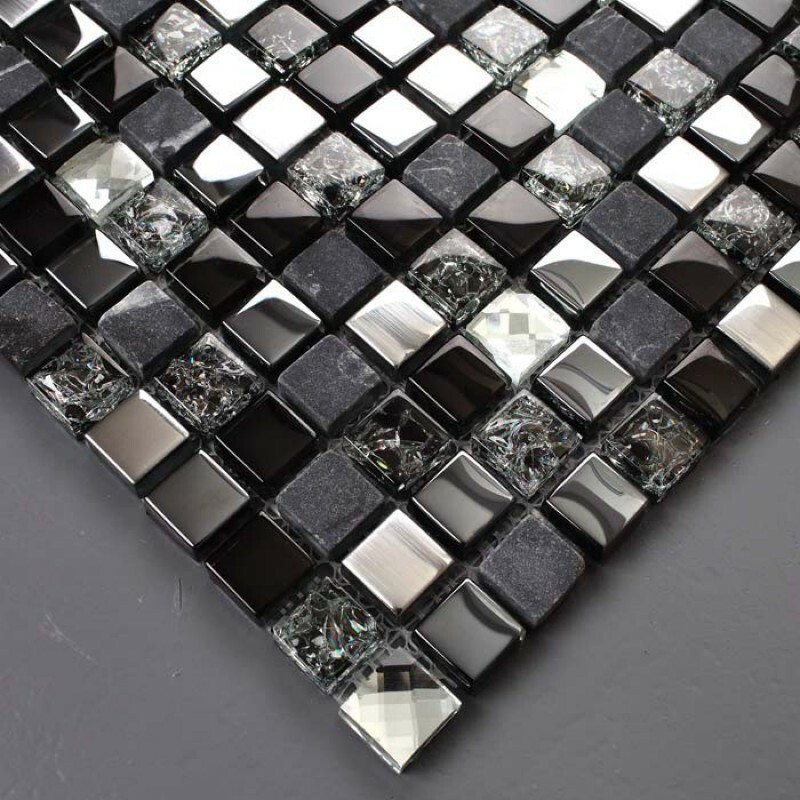 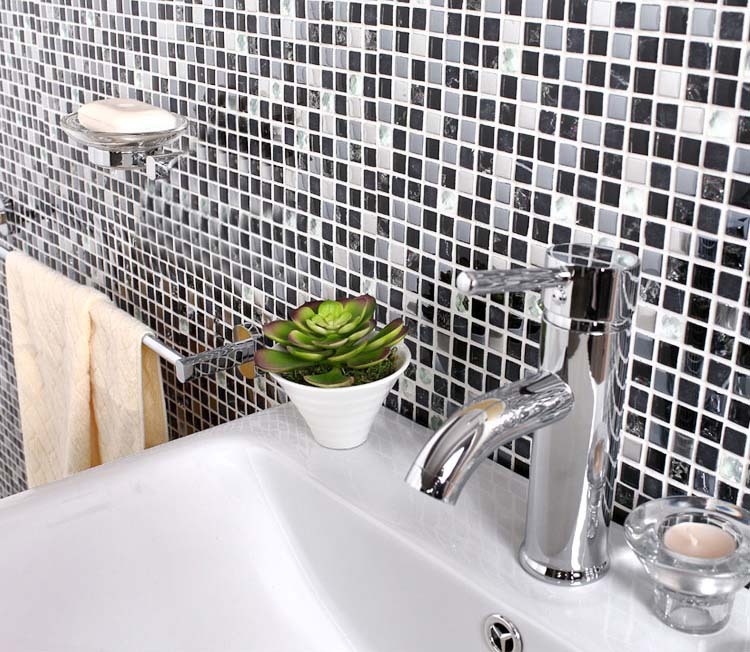 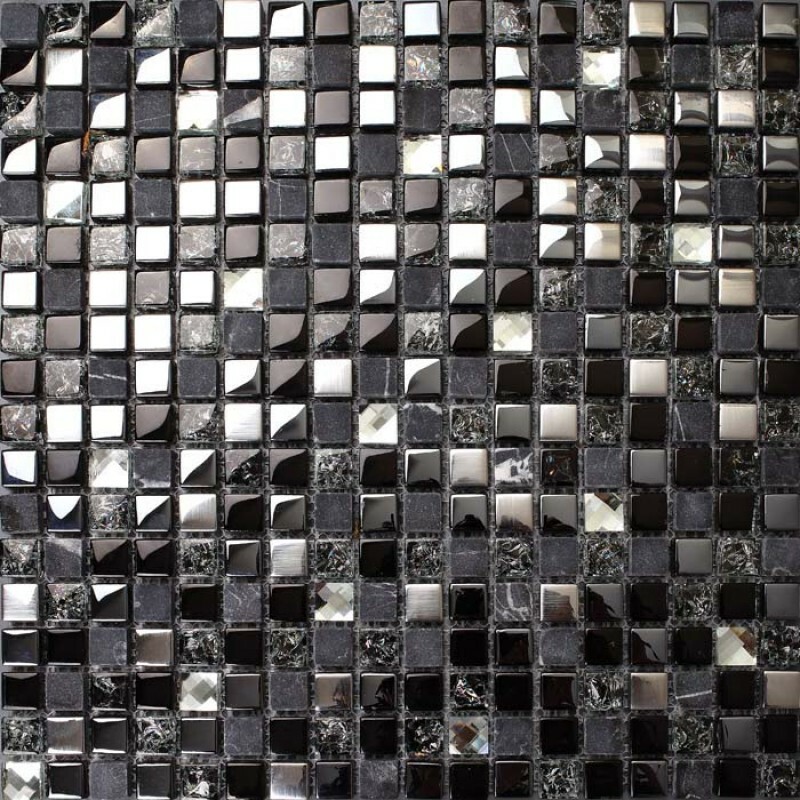 Metallic mosaic tiles are great on floors and walls and have been most popular in bathrooms, spas, kitchen backsplash, wall facades and pools as well as a variety of other applications. 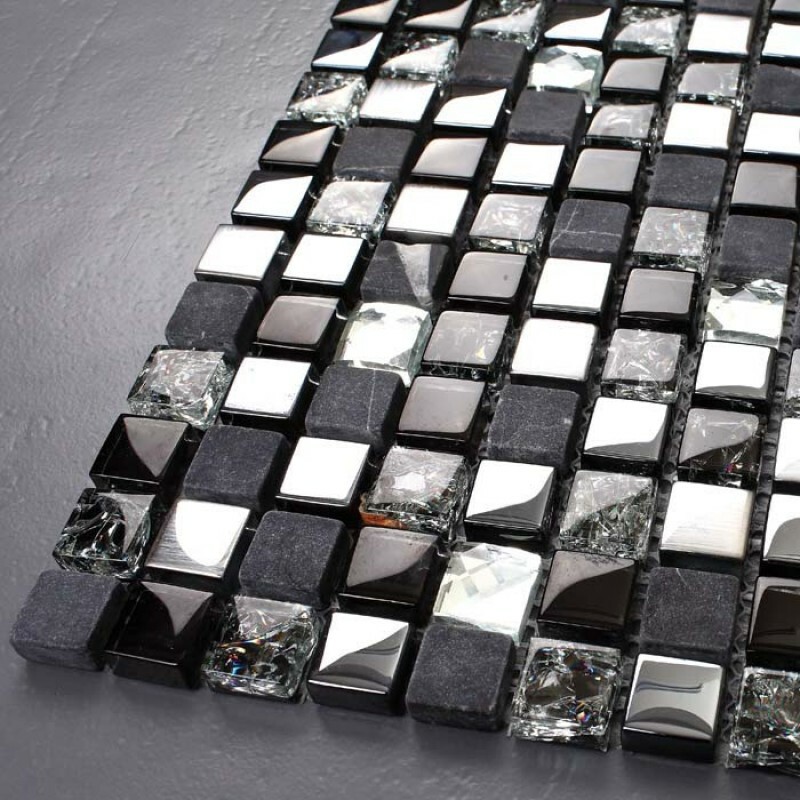 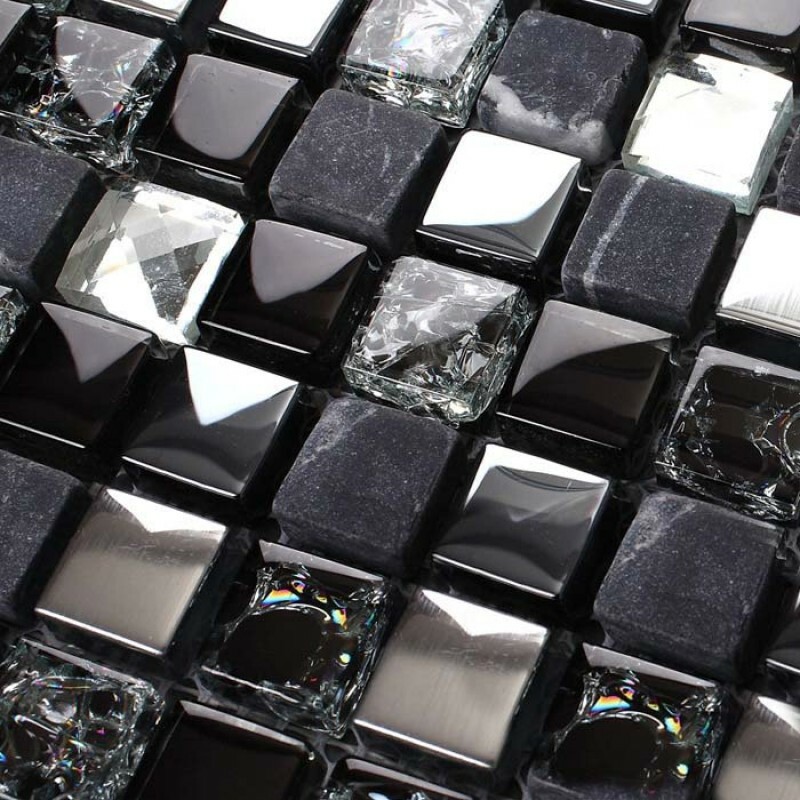 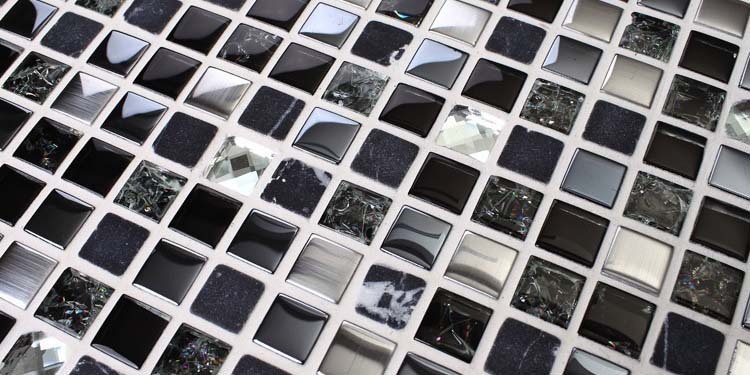 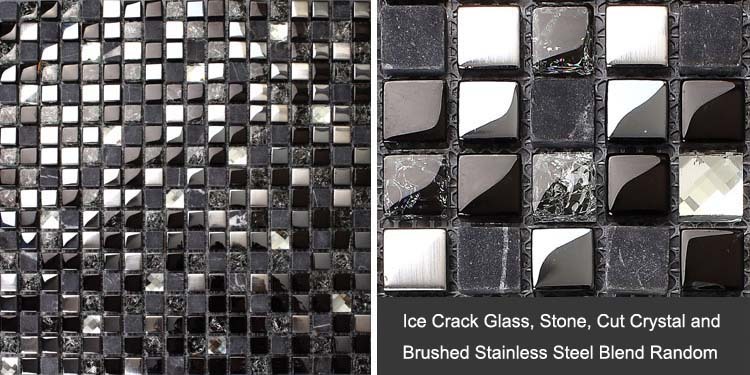 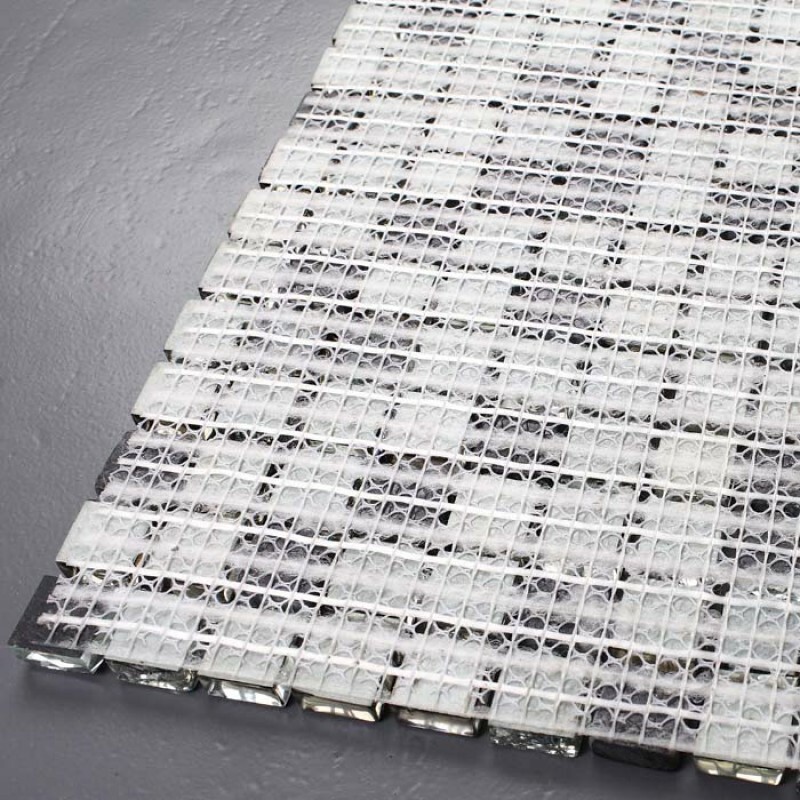 Glass ice crack mosaic: Refined by the high temperature of 1000 degrees, the Crystal mosaic glass raw materials extracted immediately placed in cold water (10 degrees) to produce a strong temperature difference between the formation of internal irregular rupture effect. 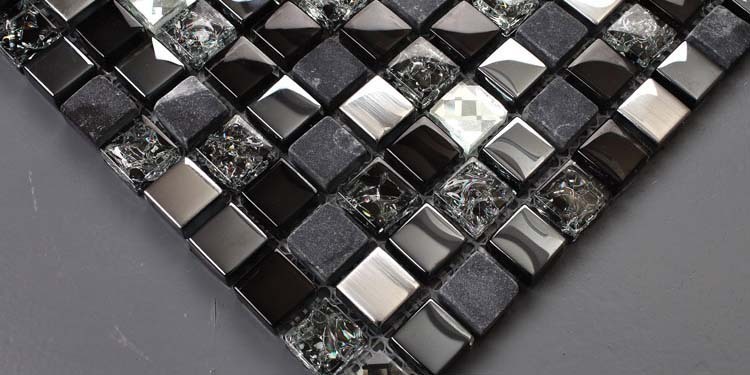 Crystal brushed electroplating: The use to enhance the plating effect again to the electrolysis process, the metal or alloy is deposited on the surface of the mosaic crystal, forming a metal layer technology, to enhance corrosion resistance and wear resistance of the mosaic, and then brushed stainless steel on the plated surface to form a highly textured appearance. 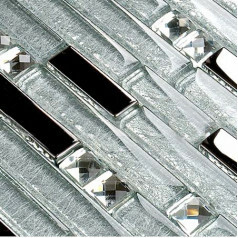 The polycrystalline surface diamond cutting process: Multi-angle measurements on the surface of the lens optical reflection principle, the use of diamond cutting process, cutting, edging and polishing more excellent refraction effects and symmetry, each particle crystal diamond 1 carat beauty bursting out. 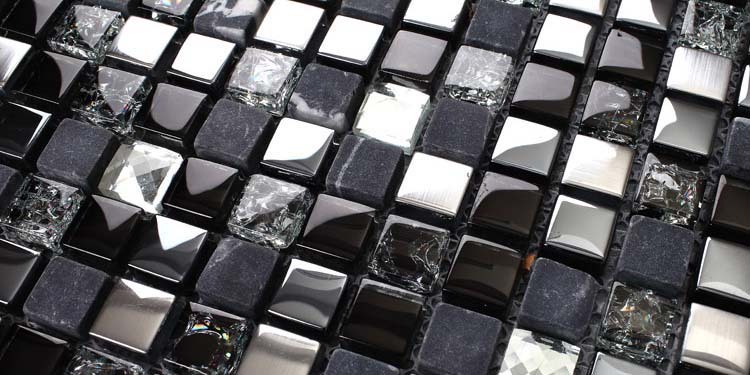 Environmental Primer Mesh Mounted: Every single mosaic will be coated with a primer of environmental quality, weather resistance, stain resistance and corrosion resistance, and to maintain a permanent primary colors. 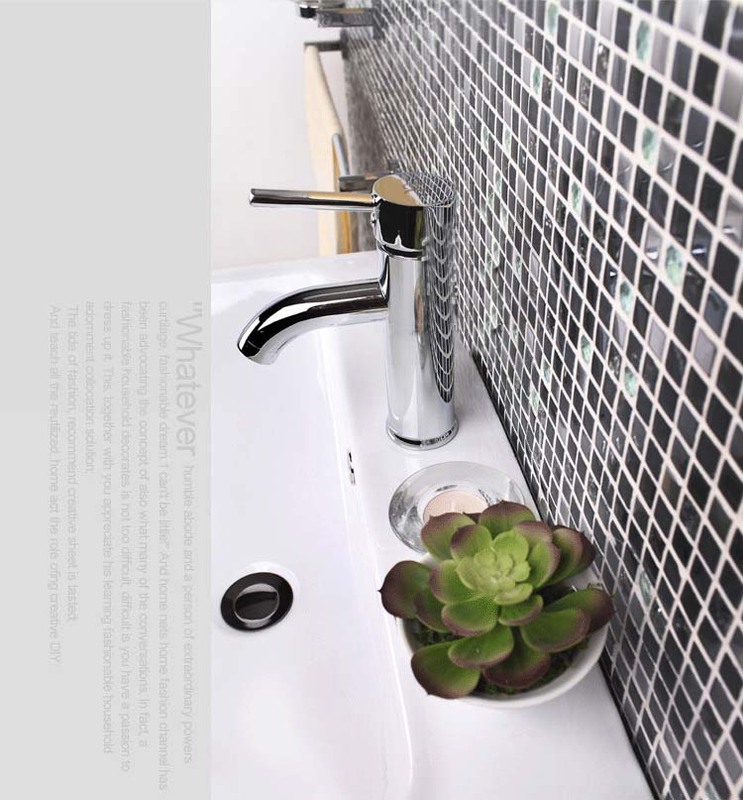 Bottom PVAC emulsion glue, non-toxic, tasteless. 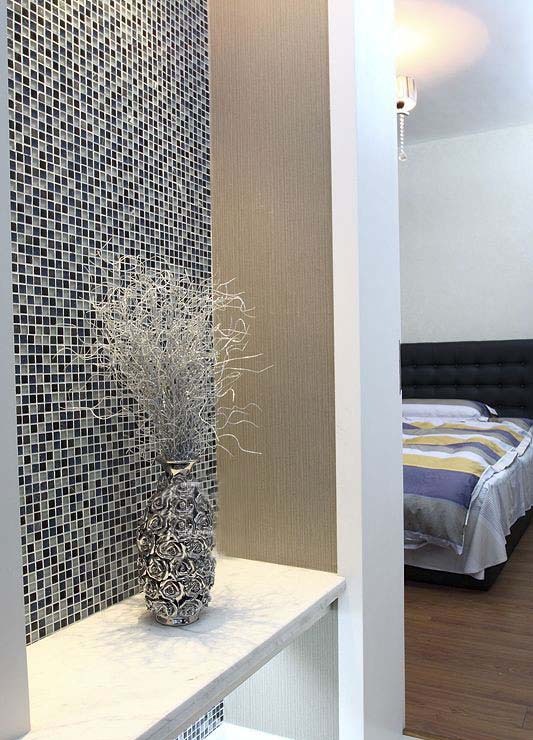 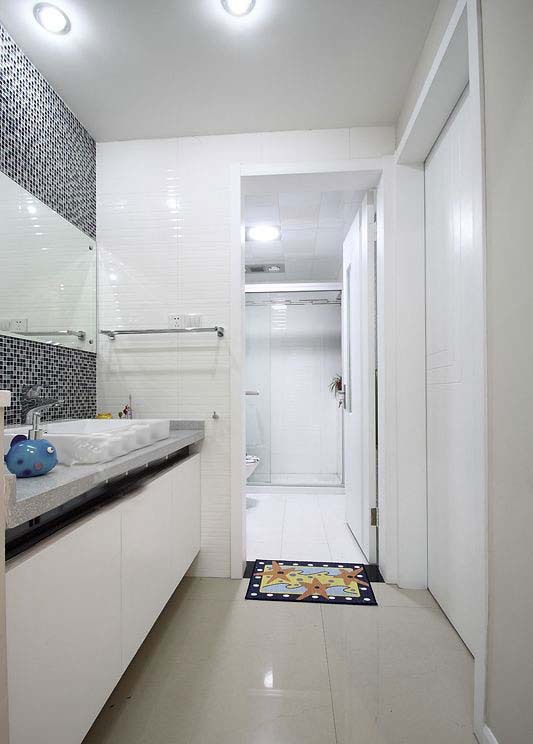 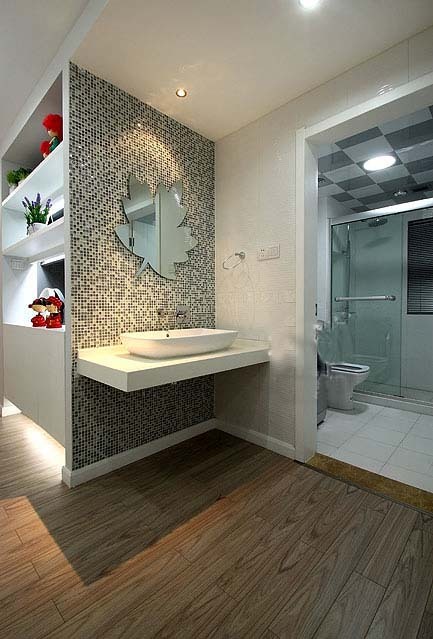 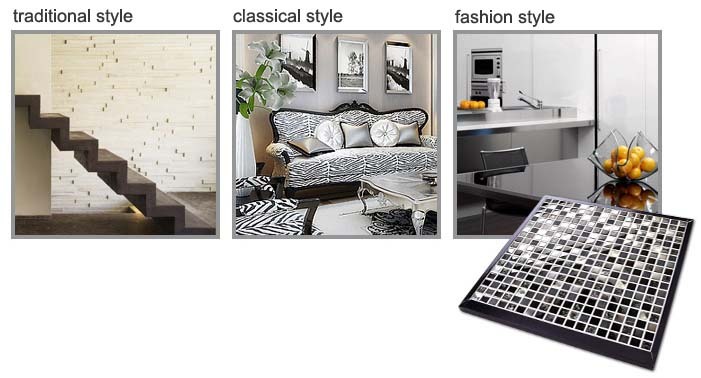 The mosaic tiles are utilized widely by mainstream designers and architects as bathroom wall and floor tiles, kitchen backsplash wall tiles, hotel lobbies and reception areas wall and floor tiles, corporate office reception areas wall tiles.